Covering fundamental principles through to practical applications, this self-contained guide describes indispensable mathematical tools for the analysis and design of advanced wireless transmission and reception techniques in MIMO and OFDM systems. The analysis-oriented approach develops a thorough understanding of core concepts and discussion of various example schemes shows how to apply these concepts in practice. 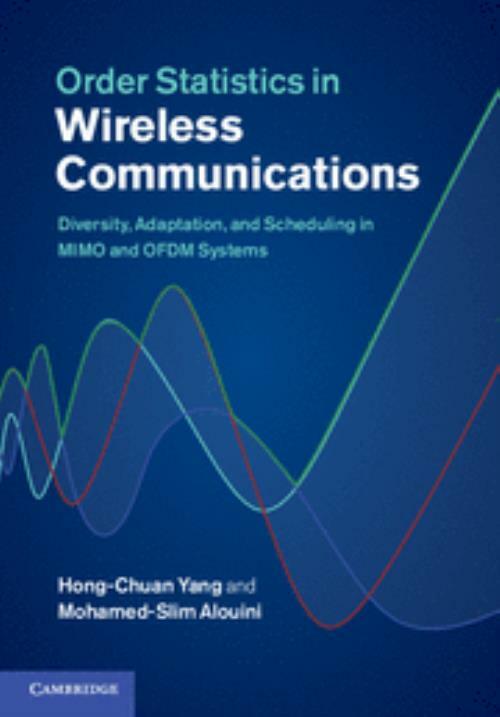 The book focuses on techniques for advanced diversity combining, channel adaptive transmission and multiuser scheduling, the foundations of future wireless systems for the delivery of highly spectrum-efficient wireless multimedia services. Bringing together conventional and novel results from a wide variety of sources, it will teach you to accurately quantify trade-offs between performance and complexity for different design options so that you can determine the most suitable design choice based on your specific practical implementation constraints. Hong-Chuan Yang is an Associate Professor in the Electrical and Computer Engineering Department at the University of Victoria, Canada. He has developed several mathematical tools for accurate performance evaluation of advanced wireless transmission technologies in fading environments and his current research focuses on channel modelling, diversity techniques, system performance evaluation, cross-layer design and energy efficient communications. Mohamed-Slim Alouini is a Professor of Electrical Engineering at KAUST, Saudi Arabia. A Fellow of the IEEE, he is a co-recipient of numerous best paper awards, including awards from ICC, Globecom, VTC and PIMRC. His research interests include design and performance analysis of diversity combining techniques, MIMO techniques, multi-hop/cooperative communications, cognitive radio, and multi-resolution, hierarchical and adaptive modulation schemes.